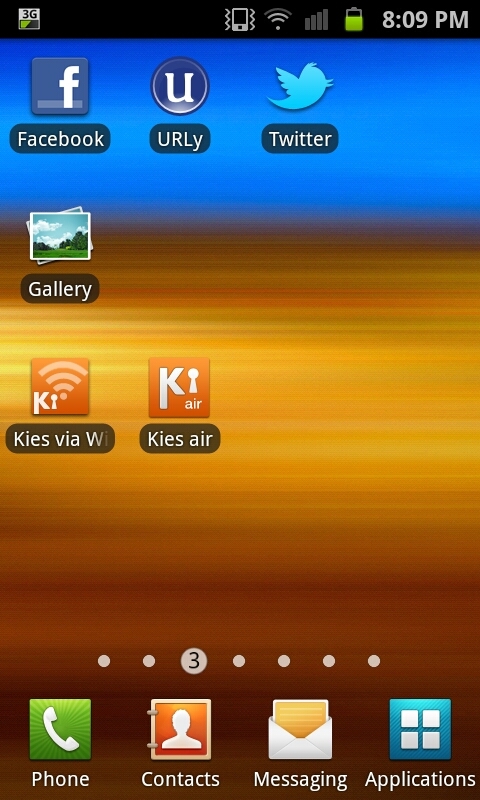 One of the most useful things on the Samsung phones is the "Kies" system that Samsung have been using over the past few years. In the past it has been relatively limited and flawed though Samsung have completely re-done the system and for the Samsung Galaxy S2 they've implemented a new version. 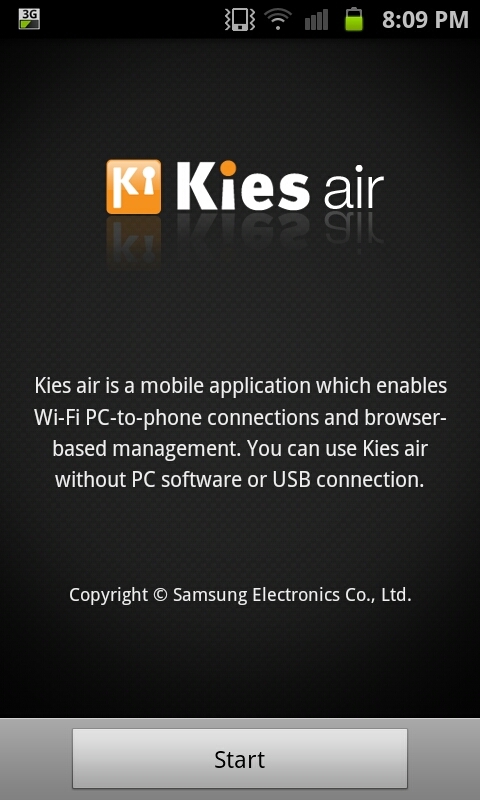 The "Kies air" system completely re-writes the system and turns it into one of the most useful tools on any Smartphone today. If we open it by clicking on the icon we get to use a PC to play with the files on the phone. After we open the app we see this screen here which basically tells us what we need to know about the app. 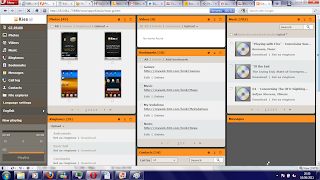 It's a program that doesn't require any computer software, it doesn't require any cables and as long as you have a wifi network set up you can access you entire phone via your laptop or PC. 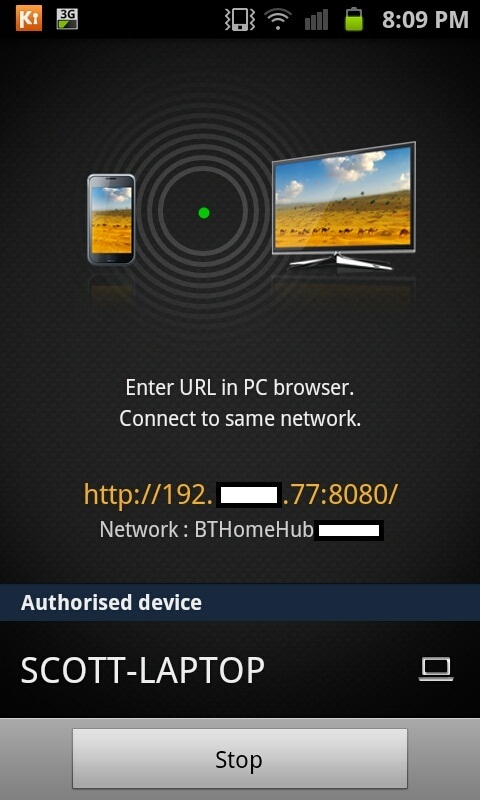 To start you click start at this screen then get given an IP address to type into your internet browser. When the app has been accessed and you've got the IP address from this screen here you need to type it into your browser. From here you will know whether your connection is active and what network you are connected to. To stop the app at anyone point you merely need to click on "Stop". The system is amazing and once you get used to it you'll realise just how revolutionary and how slick it is.